To minimize mastitis losses, by far the biggest return-on-investment is to prevent the disease in the first place. When faced with addressing clinical mastitis however, there are some new concepts that may be able to help minimize treatment costs. For mastitis, more than any other dairy disease, it is more economical to prevent rather than to treat. Return-on-investment will vary from dairy to dairy, but a frequently quoted range is $3 to $5 of savings for every $1 for spent for prevention. 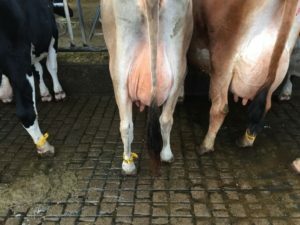 Cows with sub-clinical mastitis (those that are infected but have normal appearing udders and milk) cause most of the economic losses in the industry. For every doubling of Somatic Cell Count over 50,000, a cow will lose about 1 to 2 pounds of production daily. Clinical mastitis can also be expensive. Losses are compounded not only by decreased and discarded milk, but treatment costs, premium loss, culling, mortality and decreased reproduction as well. Average losses related to a single case of mastitis are typically put at somewhere between $100 and $200, but may be as high as $400 to $600 per case. Armed with new information about mastitis, non-traditional concepts for the disease’s control have been developed or renewed. These include treatment customized by milk culture and selective dry cow therapy. Other practices, such as lactational treatment of sub-clinical mastitis and antibacterial susceptibility testing, should be viewed with caution. Circumstances regarding mastitis control are unique to each dairy operation, and not all technologies or programs will be effective on every dairy. It is essential that each producer work closely with their veterinarian or other milk-quality consultant. As most producers are well aware, mastitis is the most common disease affecting adult dairy cattle, as well as the costliest condition affecting the dairy industry. Mastitis losses in the U.S. dairy industry are estimated to exceed $1 billion annually. Clinical mastitis, a disease typically caused by a bacterial infection and manifested by increased Somatic Cell Count (SCC) and signs of inflammation including heat, pain and swelling of the udder, is widely recognized as costly to producers. In fact, it is not clinical mastitis but rather subclinical mastitis (where cows exhibit no clinical signs and have normal forestrip milk) that results in the largest economic loss to the industry, primarily through decreased production. Individual cow production, for instance, is estimated to decrease about 1 to 2 pounds per day for every doubling of her SCC over 50,000. An excellent review of economic losses due to mastitis is available for additional information. Many methods can be used to estimate economic losses due to mastitis on a particular farm, but a convenient starting point is the bulk tank SCC. Farms with a BTSCC of less than 200,000 will not typically experience significant production loses due to subclinical mastitis. Conversely BTSCC values of 500,000 and 1,000,000 have been associated with 6% and 18% loses in production respectively. 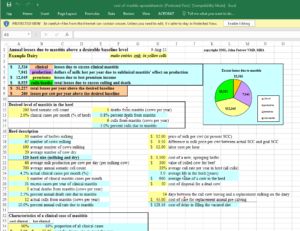 Producers interested in developing an accurate estimate of monetary losses for their farms can reference the University of Minnesota’s Cost of Mastitis Spreadsheet developed by Dr. John Fetrow. Some herds that have achieved a low SCC and have minimized losses due to subclinical mastitis may still be faced with an unacceptable number of clinical cases. 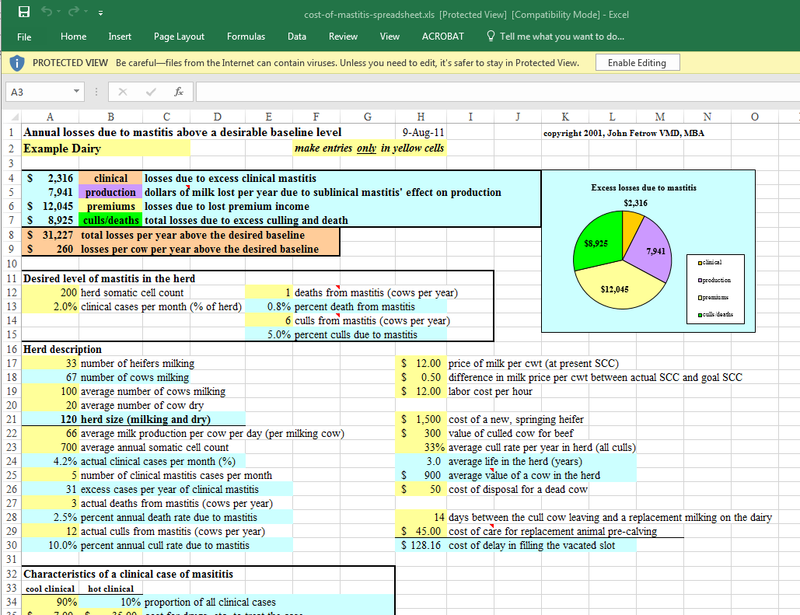 Determination of the cost of a case of clinical mastitis can be complex given that losses can result not only from decreased production and discarded milk, but labor and medication costs, premium loss and penalties, culling and replacement costs, mortality and even impaired reproduction. 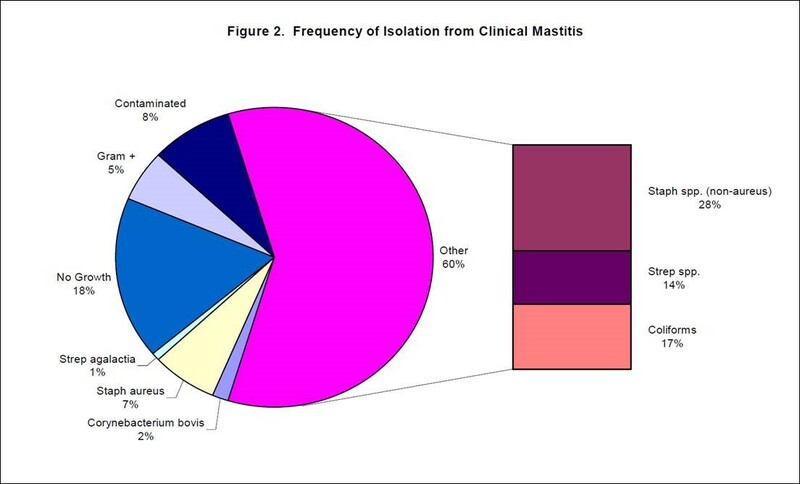 Unlike subclinical mastitis, the largest losses due to clinical disease are from discarded milk. Research regarding economic losses associated with mastitis differ greatly depending on the study and have been variously estimated at between $50 and $400 per case. As a rule of thumb, however, losses related to a single case of mastitis are typically put at somewhere between $100 and $200. Producers interested gauging the effectiveness of their own mastitis control efforts can examine the University of Wisconsin’s key performance indicators for udder health. While each farm’s program and goals should be evaluated individually, one goal suggested by UW for well-managed herds is equivalent to about 2 cases of clinical mastitis per 100 cows per month. Employee training can raise awareness of cows that need to be treated and facilitate treatment early. 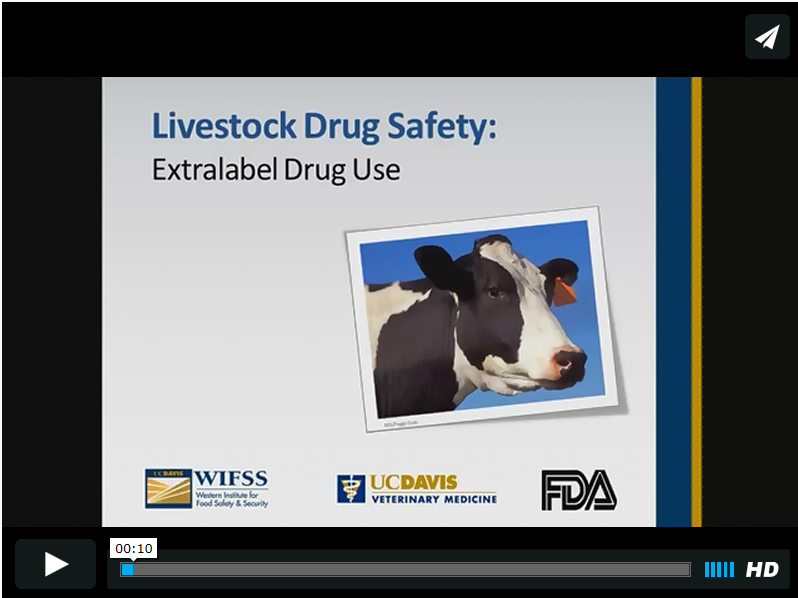 The University of California-Davis Western Institute for Food Safety and Security (WIFSS) has a number of employee training videos including one on How to Identify Clinical Mastitis. No other disease of dairy cattle has generated more research, publications and outreach than mastitis. 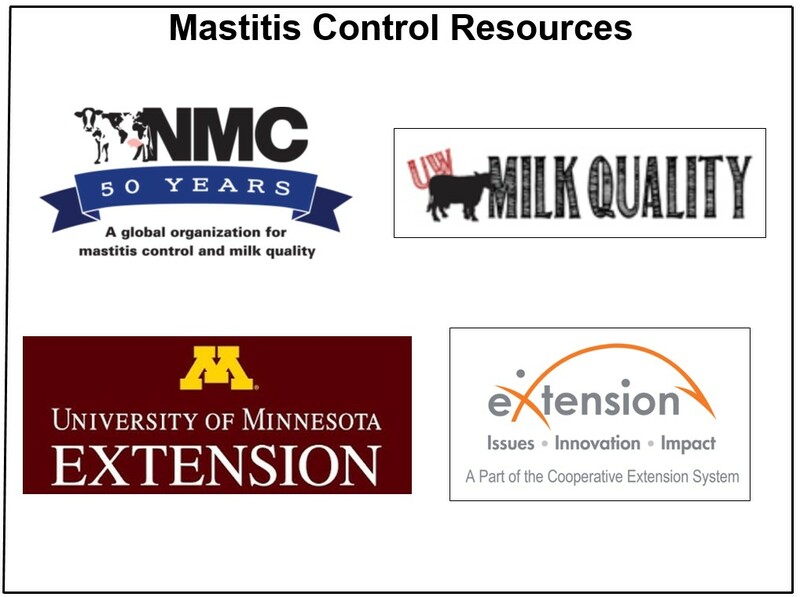 Reviewing all of the causes, prevention and treatment of mastitis is beyond the scope of this article, but truly outstanding on-line resources exist to assist you in strengthening your mastitis management programs. Founded in 1961, the not-for-profit National Mastitis Council has remained the go-to organization for industry, regulatory and academic professionals interested in milk quality. The NMC’s website contains an exhaustive list of fact-sheets, protocols, guidelines, reports & regulatory information related to milk quality. The University of Wisconsin’s Milk Quality program has an impressive array of research papers, fact-sheets, podcasts and even YouTube videos. Producers looking for a quick, big-picture introduction to mastitis control might start with UW’s Dr. Pamela Ruegg’s outstanding review, 10 Smart Things Dairy Farms Do To Achieve Milking Excellence. Similarly, the University of Minnesota’s Extension Milk Quality Program has a long menu of webpages ranging from milk quality standards to management and treatment practices. In particular, the UM also offers the Minnesota Quality Counts$ Program, which for over a decade has focused on providing producers tools to reduce SCCs and maximize profitability. Other states have similar outreach programs, such as New York’s NYSHAP Mastitis–Milk Quality Module. Lastly, a much underused resource is national Cooperative Extension System website, a searchable repository where thousands of articles and videos are available for free from extension specialists from all over the country. Besides being the most common and costly disease of dairy cattle, treatment and prevention of mastitis also represents the most common reason antibiotics are administered to dairy cattle. While drug costs pale in comparison to other losses associated with mastitis (particularly reduced production & discarded milk), expenditures for lactating and dry tubes can still be significant. A desire to minimize treatment costs combined with consumer and regulatory concerns regarding antibiotic use in food animals has spawned a number of new concepts regarding mastitis treatment and prevention. Not all of these programs will be applicable to a particular dairy, but can be considered as you work with your veterinarian to optimize your dairy’s milk quality and udder health. For an individual dairy, knowing which pathogens are causing mastitis on that particular facility is essential to developa cost-effective control and treatment program. A treatment program designed, for instance, to address chronic staph mastitis cases might look very different from programs developed to address mycoplasma mastitis or environmental pathogens. One of the most important and valuable practices a producer can do to monitor their operation’s udder health is regular bulk tank culture. Methods for diagnostic bulk tank culture will differ significantly from quality testing performed by a processor in that they can provide early warning of significant problems, such as infection with contagious mastitis pathogens Staph. aureus and Strep. Agalactiae or mycoplasma species. Periodic sampling and culture of milk from mastitic cows can also be informative, but should not replace routine bulk tank culture. There has been a fundamental transformation of milking management since the 1960’s when the predominant mastitis pathogens were the contagious mastitis pathogens Staph. aureus and Strep. agalactiae. These contagious bacteria often resulted in chronic infections which would cycle between sub-clinical and clinical states. 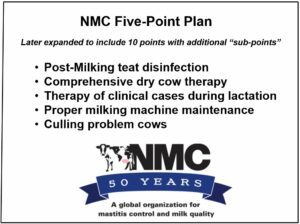 The principals of the National Mastitis Council’s “Five Point Plan” served the industry well for a half century, reducing and sometimes eliminating contagious mastitis pathogens from many herds. While infectious mastitis pathogens Staph. aureus and Strep. ag and mycoplasma have been greatly reduced, they can still periodically cause problems on well-run dairies. An excellent pro-active policy for contagious pathogens is one of “Zero Tolerance” meaning a management attitude or policy that cows with a contagious pathogen will not be milked with clean cows. As the contagious pathogens have been controlled or eliminated, they have frequently been replaced with environmental pathogens as the predominant cause of mastitis. For many modern dairies the most common mastitis pathogens have shifted to coagulase-negative staphylococcus species (“non-aureus” or “environmental Staphs”), environmental streptococci (“non-ag streps”) and gram-negative or coliform bacteria, like E. coli. Self-cure of environmental pathogens is common. Unlike the contagious mastitis pathogens Staph aureus and Strep ag, cases of mastitis caused by common environmental pathogens will frequently resolve by themselves. Different studies have returned variable results, but some research has observed remarkably high rates of spontaneous clearance of bacterial infection. These include studies reporting spontaneous clearance approaching 50% for environmental streps and 75% for non-aureus staph and up to nearly 90% for E. coli. In fact in one study of 9,000 cases of sub-clinical mastitis, there was only a 10% higher cure for cows that were treated with antibiotics compared with those who were not. Abnormal milk doesn’t necessarily always mean infection. For cows that have cleared the mastitis pathogen, there may be a lag-time before the inflammation can be resolved and the abnormal milk returns to a normal appearance. This helps explain why studies have reported no bacterial growth in approximately 20% to 45% of milk cultures from cows having udder inflammation and abnormal milk. Not all cases of mastitis will benefit from treatment. The upshot of this is that many milk quality / udder health experts believe that perhaps as much as 25% to 50% of clinical mastitis cases will not benefit from intra-mammary therapy. It appears in many instances either the infection has already been cleared by the cow or the infection is due to a condition which will not respond to antibiotics, such as mycoplasma mastitis or a chronic staph infection. There have been a number of studies that have examined the economic benefits of treatment of clinical and sub-clinical mastitis. Overall these trials confirm that treatment of many clinical cases generate sufficient economic returns to justify treatment. In order to further refine mastitis control, however, novel concepts have been promoted, or in some cases, interest in older practices has been renewed. While some studies have shown on-farm cost savings with the new methodologies, a program’s effectiveness depends greatly on the circumstances of a particular dairy. It is essential therefore that when exploring implementation of new practices, you work closely with your veterinarian or other milk-quality consultant. On-Farm Culture & Culture-Based Treatment – Some large dairies have implemented On-Farm Culture programs for milk samples. The primary goal of these programs is to reduce costs associated with treatment of cases that would not benefit from antibiotic therapy. On-farm milk culture is performed by dairy employees using methods that are neither as involved nor as accurate as culture performed by a diagnostic laboratory, but do identify which general class the infecting bacteria belong to. On-farm culture often uses a simplified auger plate divided into two or three sections, each containing a different specialized media. These bi-plates or tri-plates (developed by the University of Minnesota) are incubated for 24 hours and allow differentiation of bacterial growth as Staph aureus, gram-positive (staph or strep) or gram-negative (E. coli or other coliforms). An alternate on-farm culture method that has been recommended is the Petrifilm system which appears to be of similar sensitivity to the UM Easy Plate system. The cost of the Minnesota bi-plate is about $3 and the cost of the Petrifilm will be similar depending on which plates and how many plates are used. 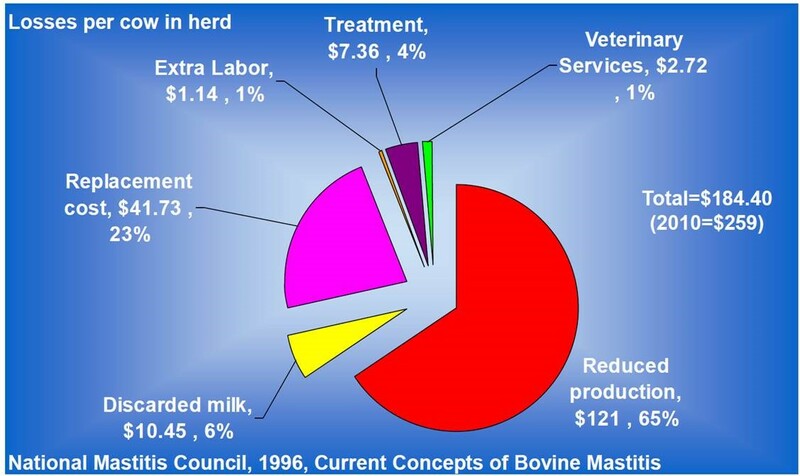 In either case with mastitis treatments typically costing roughly $2.50 to $3.50 per syringe, the expense of the culture may be covered by decreased treatment costs and discarded milk. While different programs are used, most often if the sample reveals a gram-positive culture the cow is treated according to the farm’s intra-mammary protocols. If, however, the culture is negative for growth or returns gram-negative bacteria, the cow’s milk is discarded and she is monitored for resolution of inflammation. One controlled trial compared a traditional treatment program (where all cases were presumptively treated) with treatment guided by on-farm culture and found that whileWhile there was no reduction of mastitis using culture-based treatment, the use of antibiotics for mastitis was reduced some 50%. 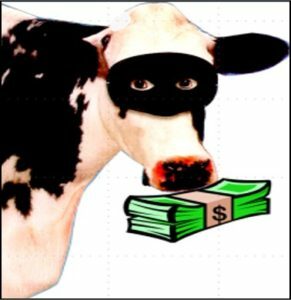 An important caveat for using such a program is that an experienced employee should examine both the cow and her medical history to determine if she is a good candidate for treatment. For instance, cattle having a gram-positive culture but that also have a chronic history of mastitis may actually not respond well to treatment. Conversely, cattle with a gram-negative culture that are systemically ill (fever, off-feed) may actually benefit from combined intra-mammary and supportive therapy, including fluids and anti-inflammatory medications. 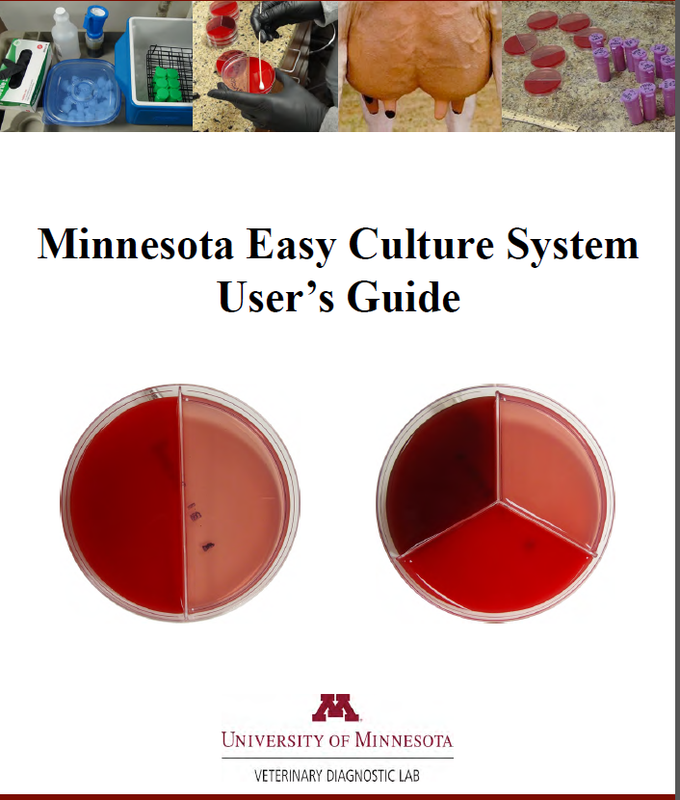 For interested producers there are numerous resources describing on-farm culturing, notably the University of Wisconsin’s 11-part YouTube series and the University of Minnesota’s Easy Culture System User’s Guide. Selective Dry Cow Treatment – Historically, dry-cow treatment has greatly reduced mastitis caused by Staph. aureus and virtually eradicated mastitis caused by Strep. Agalactiae. The use of such “blanket” dry cow antibiotic therapy remains one of the most effective management strategies to cure existing intramammary infections and prevent new ones during the dry period. The use of a comprehensive antibiotic dry cow therapy (“all cows, all quarters”) is still recommended for most farms. 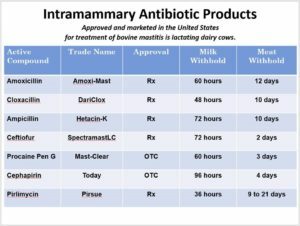 With increasing focus on minimizing antibiotic use in food animals however, there has also been renewed interest in using dry cow treatments only in infected cows, typically referred to as “Selective Dry Cow Treatment” (or “Therapy”). The goal of Selective Dry Cow Treatment is to treat only those cows that, through medical history, SCC or milk culture, are suspected or confirmed to have active intramammary infections. Research has returned varying results on selective dry treatment programs, with some herds actually experiencing an increase in mastitis. When careful screening is applied to both the herd and individual cows to allow differentiation of infected and non-infected animals, selective dry cow therapy can decrease antibiotic usage without increasing mastitis. In selective dry cow treatment programs, both antibiotic-treated cows and those that are not treated are administered an internal teat sealant to prevent new infections during the dry period. When applied to non-infective quarters, the use of an internal teat sealer appears to offer the same prophylactic efficacy as use of an antibiotic dry-cow product. The use of teat sealers appears to be growing, particularly in organic dairy herds. Treatment of Subclinical Mastitis – Treatment of subclinical mastitis infections continues to be discussed and researched. Intramammary treatment of cows with sub-clinical mastitis (cows with normal appearing milk and no clinical signs) still involves discarding saleable milk, a significant economic loss. There is little evidence to support an economic return for treatment of subclinical mastitis, with net return on investment on a specific farm apparently dependent on the type of mastitis agent present and how well disease transmission is controlled on that farm. For these reasons, treatment of cows with high somatic cell counts but not having clinical disease is usually delayed until initiating the dry period. For most farms that have controlled contagious mastitis from Staph aureus and Strep ag, treatment of subclinical mastitis during lactation is not usually cost effective. 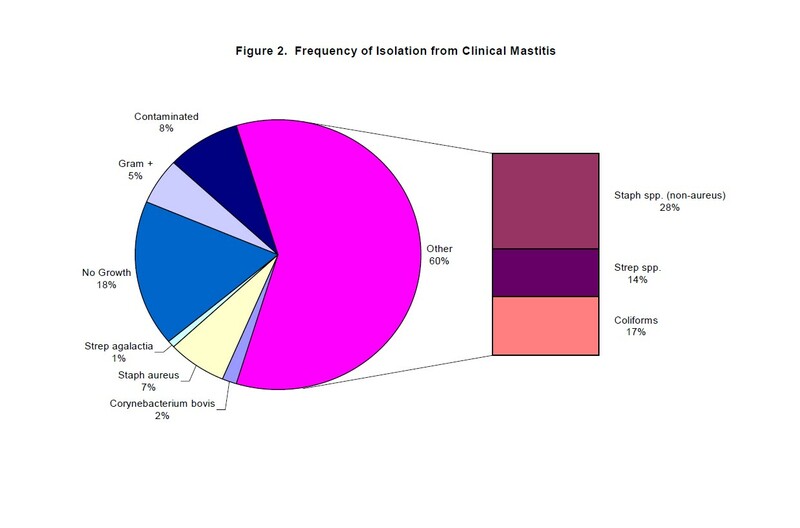 Antibiotic Susceptibility of Mastitis Pathogens – As public and regulatory concern about antibiotic resistance grows so does interest in applying the “right drug to the right bug”. In human medicine this frequently means isolating the infecting bacteria and then determining to which antibiotics the culture is sensitive and resistant. Ideally this information guides treatment selection, picking the antibiotic which will be most effective and minimize antibiotic resistance. 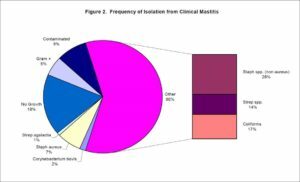 The use of antibiotic susceptibility testing specifically for use in mastitis control has been increasingly criticized as failing to predict clinical response to treatment. 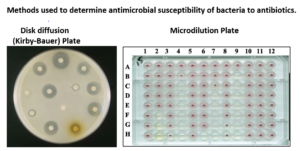 The classic susceptibility testing method, the Kirby-Bauer disk diffusion assay, simply reports back “Sensitive”, “Intermediate” or “Resistant” based on typical concentrations of human drugs that can be achieved in human serum. Udder concentrations achieved by intramammary mastitis tubes have little similarity to human blood concentrations and there can be complicating cow factors such as scaring or abcesses in chronic Staph cows. 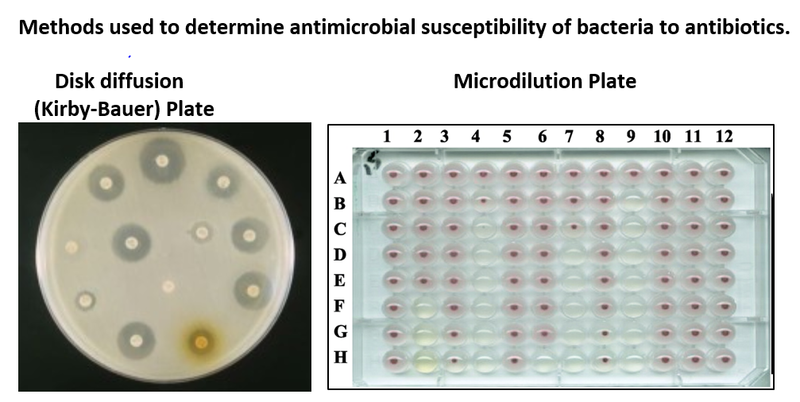 Even with the more informative broth dilution assays which provide a drug’s Minimum Inhibitory Concentration (MIC), there is no clear evidence that antimicrobial susceptibility testing is useful in predicting treatment outcomes. This may be due in part to the fact that the milk medium which an antibiotic is expected to perform contains electrolytes, fat, protein, blood cells and an altered pH, making it profoundly different than the broth well culture medium used in the laboratory assay. An additional disincentive for the regular use of pathogen sensitivity testing is cost, which may run more than $12 to $20 dollars per sample. 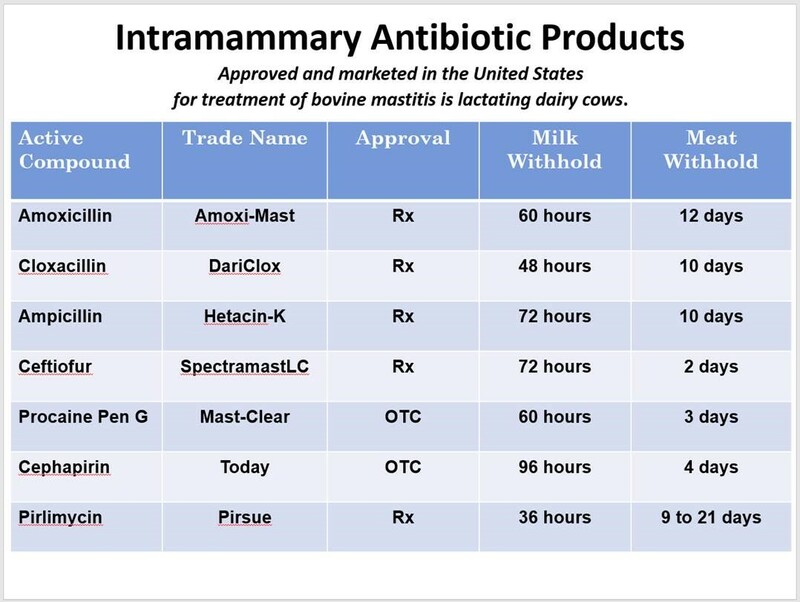 In the US there are 7 approved intramammary antibiotics marketed for treatment of mastitis. A frequently asked question by producers is “What is the best mastitis tube?” The answer, which is enormously frustrating to producers, is that it depends on the circumstances on a individual dairy. There are numerous complicating factors: the species of bacteria causing mastitis, existing management procedures, whether milk cultures are used to guide treatment and of course the variable costs and milk discard times of the various mastitis products. New research is constantly being generated which can be useful in selecting the most cost-effective alternative. Such research however can be involved and nuanced which is why it is essential to have a veterinarian put information in context to a producer’s own dairy. Regarding systemic treatment, most antibiotics approved for parenteral use (IM, IV or Sub-Q) will not reach therapeutic concentrations in the udder. These drugs are likely to be of little value when a case of mastitis is limited to the udder. Even if an infection has spread to the deep tissue or bloodstream and the cow is systemically ill (fever, off-feed), there are only a limited number of injectable antibiotics which might be useful. From an important regulatory standpoint there are no systemic antibiotics approved for treatment of mastitis. This means that any injectable antibiotic treatment for mastitis is extra-label and requires not only veterinary oversight, but extended milk and meat withdrawal periods as well, adding significantly to the treatment cost. Extra-label treatment should only be used as a last resort and always with the supervision of a veterinarian. A video review of the extra-label drug use in food animals is available in the General Livestock section of WIFSS video training catalog.